At Home With Elvis. . Wallpaper and background images in the Elvis Presley club tagged: photo. 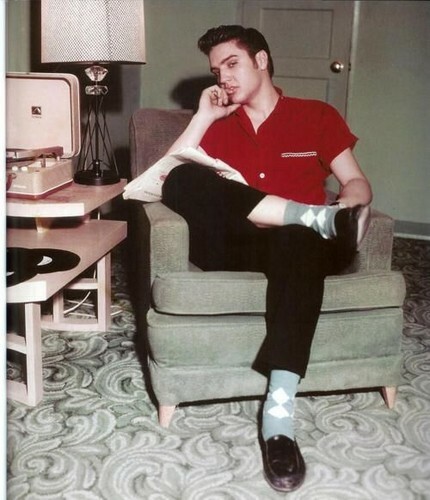 This Elvis Presley photo contains dressing table, dresser, vanity, and toilet table. There might also be living room, living room, sitting room, front room, parlor, parlour, bare legs, pantyhose, skintight pants, skintight, hosiery, and hose.